Summary: It’s murder by the book in the latest hit Library Lover’s mystery from the New York Times bestselling author of Death in the Stacks. 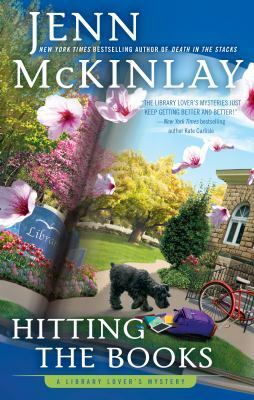 When a stack of library materials is found at the scene of a hit and run, library director Lindsey Norris finds herself dragged into the investigation as the police try to link the driver of the stolen car to the person who borrowed the books. Before Lindsey can delve into the library’s records, the victim of the hit and run, Theresa Houston, suffers another accident and the investigation shifts from driver negligence to attempted homicide. A clue surfaces in the confiscated library materials that could crack open the case and it is up to Lindsey to piece it all together. Angie’s comments: A fun, fast cozy mystery. The characters are always interesting, and most seem to be like people you may know. There is a touch of romance as the relationship between Lindsey and boyfriend Sully develops. Although it is part of the Library Lover’s series, it can easily be read as a stand-alone. Recommended for readers who like contemporary cozy mysteries.